There’s more to a healthy gluten-free diet than avoiding wheat, barley, and rye. 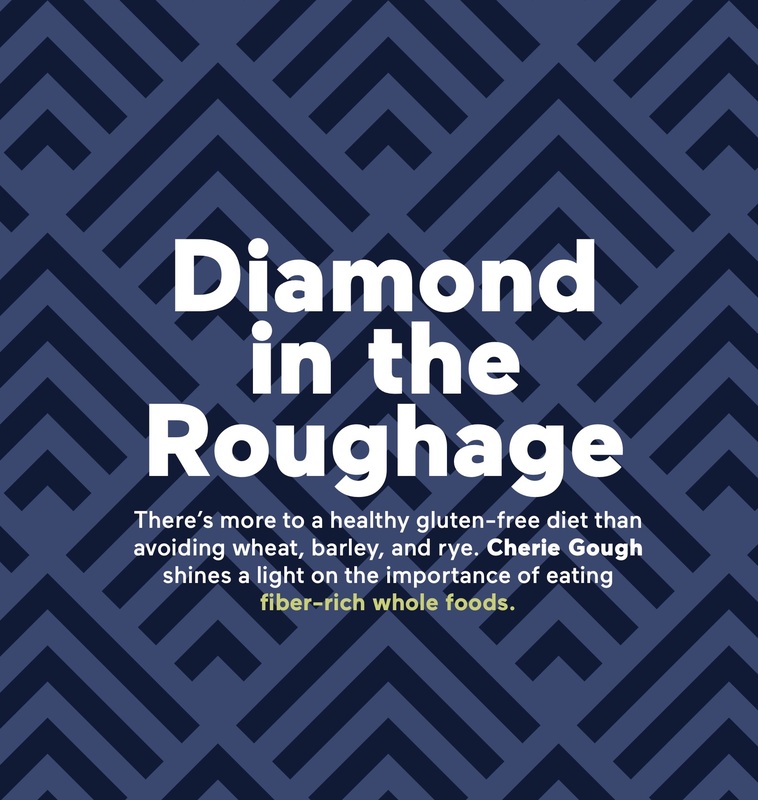 Cherie Gough shines a light on the importance of getting enough fiber on a gluten-free diet. In 2017, reader’s digest published an online article entitled “if you want to avoid heart disease, don’t even think of going gluten-free.” The headline was misleading: The story was actually about how a recent study suggested a gluten-free diet includes fewer cardioprotective whole grains than the standard Western diet and, therefore, doesn’t protect against heart disease. But alarmist anti-gluten-free articles like that one—and there are many of them out there—often leave out one critical detail: It’s not the gluten-free part of the gluten-free diet that creates or doesn’t protect against health risks—but rather a gluten-free diet that’s high in processed foods and low in healthy whole grains and fiber that’s cause for concern. I learned this truth firsthand after my daughter was diagnosed with celiac disease when she was four years old. Though we made dramatic lifestyle changes to accommodate her new dietary restrictions, we relied primarily on packaged items. I suspected early on that this was not ideal for my daughter’s health, but she felt better, was suddenly growing, and had much more energy. So I blindly carried on—until an X-ray showed enough constipation that hospitalization was the next step if an over-the-counter remedy didn’t help. Fortunately, it did. It also served as my wake-up call. There are other reasons to consider your fiber sources, starting with the results of the heart-health study mentioned earlier that concluded gluten-free diets should not be promoted for coronary heart disease prevention. Dr. Peter Green, the director of the Celiac Disease Center at Columbia University who helped conduct the study, explains: “Whole grains seem to have a cardio-protective element.” For this reason, Dr. Green believes it’s important to work with a dietician when eating gluten free for medical reasons and to integrate into your diet alternative, wholesome fiber-rich grains. So heed this call to “eat the fruit and vegetable rainbow,” include beans and other high-fiber gluten-free foods in your everyday diet, and start whipping up some of the flavorful, fiber-rich oat-flour recipes on this website. *Information from USDA National Nutrient Database for Standard Reference, Release 27; fiber content can vary among brands.